Over the Fourth of July holiday, North Korean Leader Kim Jong-un ordered the test-firing of a newly upgraded missile that Western analysts assessed as capable of intercontinental travel. 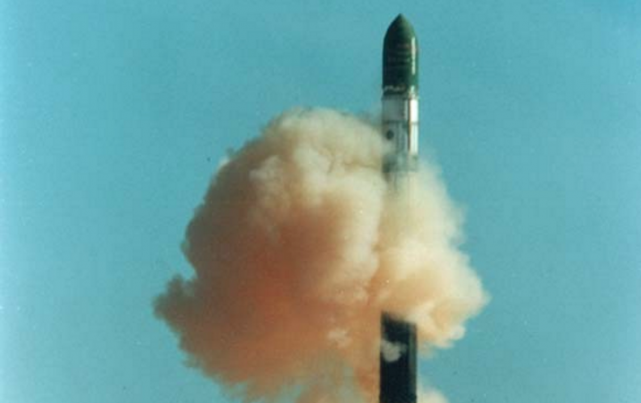 The ICBM, called the Hwasong-14, or KN-14, flew on a trajectory that U.S. defense experts believe could put Alaska or parts of the West Coast within range. That means Pyongyang is closer to developing the capability to detonate a nuclear device over the U.S., creating an electromagnetic pulse [EMP] event that could wipe out large portions of the power grid, financial system, and critical infrastructure that controls dams, water treatment facilities and nuclear plants. It’s not as if all of this has occurred in a vacuum. As Dr. Peter V. Pry, chief of staff of the Congressional EMP Commission who served in the House Armed Services Committee and the CIA, noted in a March column along with former ambassador and CIA Director James Woolsey, such a weapon, if it were detonated over the U.S. directly, would eventually kill 90 percent of us. The mainstream media, and some officials who should know better, continue to allege North Korea does not yet have capability to deliver on its repeated threats to strike the U.S. with nuclear weapons. False reassurance is given to the American people that North Korea has not “demonstrated” that it can miniaturize a nuclear warhead small enough for missile delivery, or build a reentry vehicle for an intercontinental ballistic missile (ICBM) capable of penetrating the atmosphere to blast a U.S. city. Yet any nation that has built nuclear weapons and long-range missiles, as North Korea has done, can easily overcome the relatively much simpler technological challenge of warhead miniaturization and reentry vehicle design. In fact, the pair note, Kim was photographed recently posing next to what may very well have been a miniaturized nuclear weapon ready to mount atop a missile. In August, NationalSecurity.news reported that the North launched a ballistic missile via submarine that traveled about 310 miles, flying into Japan’s air defense identification zone. Officials presumed the missile was a KN-11. The missile was launched from one of North Korea’s Sinpo-class subs, which can travel about 620 miles underwater at one time. This threat is real enough that the U.S., South Korea and Japan are stepping up their sub-hunting skills. Add to this the fact that the U.S. is stepping up its missile defense exercises, as well as the deployment of missile defense assets in South Korea. President Donald J. Trump, Secretary of Defense James Mattis, and Secretary of State Rex Tillerson have all made it clear a nuclear-armed North Korea with the means to deliver a weapon anywhere over U.S. soil represents a clear and present danger to America and will not be tolerated. So — preemptive military strike is an option that no one in the White House or administration has yet to take off the table. A lot of things would have to happen first — such as getting South Korea’s president Moon Jae-in, who much prefers diplomacy over conflict in resolving the North Korean issue — on board with a U.S. first-strike (China and Russia too, but less so than South Korea). If that were to occur, most experts on North Korea — and some North Korea defectors — believe Kim would launch everything he had remaining, including nuclear and chemical weapons. War would follow.